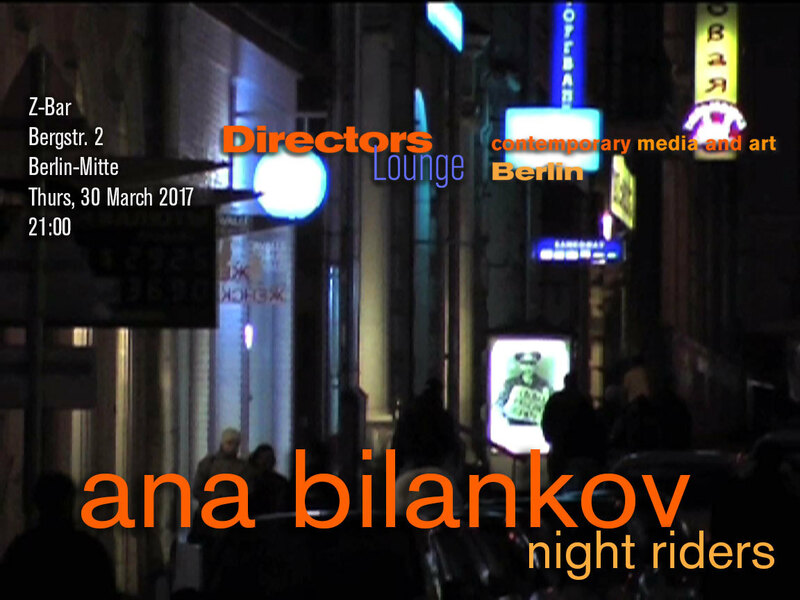 Ana Bilankov, Berlin based artist with Croatian background, creates videos connected with peculiar places in different European cities, Moscow and New York, connected with the geographies and stories of those places, mostly interwoven with her own biography or experience. Her short films often combine a brittle visual poetry with rarified narratives on the soundtrack. Her training in art history and German studies in Zagreb together with her Master in Art in Context in Berlin seem to give her the intuition to pick out places and situations that become metaphors for things unspoken or stories untold. It may also have been her biography, which sensitized her for the hidden traces in human geographies, namely her escape from war while it spread over former Yugoslavia. The artist on the other hand calls it her “search for Roland Barthes’ punctum” in the geography of the city. Her video pictures are conceived like extended snapshots that unfold, and become meaningful over time. Sound and text work complementary and associative to the pictures and are often from more divers sources than the image. When she points to the former Transatlantic slave trade connected with the sugar manufacturing in Bristol in her film “Sweet Home”, to the poisonous wreckage of Newtown Creek of East River NY in “New Town Future Film”, or to the story of an old broken Jewish House in Vienna (“I want to get out”), the artist never uses a traditional documentary style or storytelling. Instead, the films often comprise a poetic multi-layered audio-visual composition that leaves it open to the viewer to follow all the laid-out traces or to create their own associative connections. Her film “U Ratu i Revoluciji / In War and Revolution” goes back to Croatia to visit her grandmother and to look for the traces of a book about education during the resistance against the Nazi occupation written by her grandfather, which disappeared as “communist and inappropriate” during political changes an the war of the early 1990s in Croatia. Her grandmother’s fading memories become a metaphor for those lost historical memories of the past, when books are eliminated from the libraries.